Work has consumed an unhealthy chunk of my time (along with holiday cheer and what-not) so I thought I'd mention one of the few "Steam Sale finds" I actually spent money (and timee) on in the last week or so: Marvel Heroes 2015. 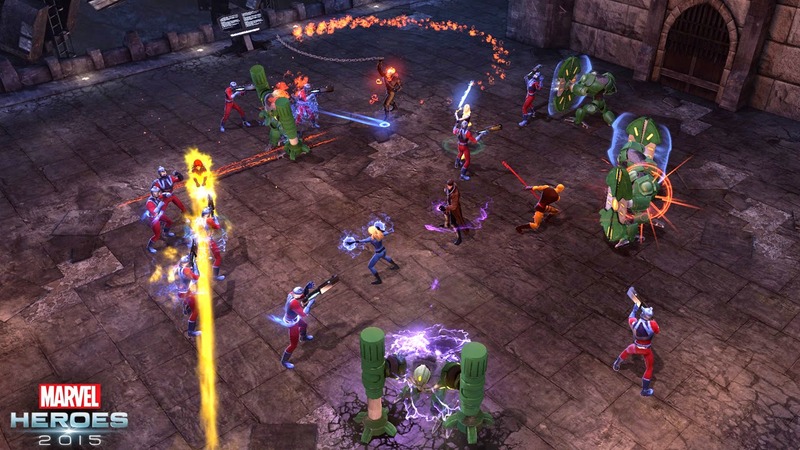 On the surface Marvel Heroes 2015 appears to be a Diablo clone with Marvel Universe setting and characters instead of the usual swordsmen, sorcerers and ornery demons and angels. This impression would not be wrong. In fact, the top reason I have avoided this game up to now was the (misguided) impression that I wouldn't enjoy a game where you play iconic Marvel heroes in a isometric top-down Diablo-style game, including loot drops and everything. It just seemed so...ARPGish, a terrible mesh for the "deeper" storytelling experience I generally think I want out the comic hero genre. It's a tricky angle to take: I am not all that fond of the Arkham line of Batman titles, for example, becase as fun as they can be and as great as the story moments are, they ultimately feel like a glorification of the least interesting elements of the Batman mythology, the stuff usually glossed over in the comics themselves: Batman walking around (or swinging around) Gotham beating up nameless thugs. Lots of this, puncuated by moments of cool, seem to drive the Arkham games. Marvel Heroes 2015, being an ARPG, is all about the action and there is probably more thug-bashing going on in the first two chapters of the game than in the entire Arkham series, but somehow it "gells" better. Probably because slaughtering Hydra agents or AIM scientists in Marvel Heroes is accomplished with great rapidity and style thanks to quick combat thematics (in the Diablo tradition) and a plethora of levelable character abilities that lend to increasingly devastating levels of mayhem. This means than you get more bang for your punch and also more "plot" for your time investment. Make no mistake, though....the plot in Marvel Heroes is wafer thin compared to a spectacle like Dragon Age: Inquisition or even the Machiavellian mayhem of the comics themselves, but anyone who's got even a passing familiarity with the Marvel Universe in its contemporary state will recognize exactly where this game is coming from and appreciate the care with which it manages to transport the lore of Universe 616 into an action RPG experience. If you already enjoy games like Diablo III or Torchlight II then really Marvel Heroes 2015 is a no-brainer. If you happen to love the Marvel Universe lore as well then its an even more delectable experience. You can forgive it for some minor "glitches" as these are probably all deliberate oversights for which planned additional content will fill in the gaps later. Playing the Eddie Brock Venom for example (I fully expect the Flash Thompson Venom to be an available skin in the future), or the absence of Mr. Green from the current Marvel Now Hulk in favor of the "Hulk armor" era of the character from a year or two earlier. These are minor quibbles.....a lot of the game's revenue comes from selling you alternate character costumes, so I am sure these will pop up eventually. The monetization process for Marvel Heroes 2015 is to get you to play one hero for free (with a smattering of additional starter heroes you can play to level 10 without cost), then give you enough in-game special currency to pick up a second hero. At that point they have four angles to snag money from you: first is more heroes, for those who can't just play two. Second is team-ups, the in-game term for hirable NPC mercenaries, second rate hero options to provide support to your main (you can have Domino as Wolverine's backup, for example). Third is alternate costumes, in which you can pick the favorite skin for your character; these often come with specific additional flavors (see Superior Spider-Man vs. regular flavor Spidey for an example). The final option is power-ups, which come in the form of various random items from "card purchases" that give you everything from additional characters and costumes to (much more frequently) XP, item and currency boosts. They keep you tempted with daily rewards, too. None of that is necessary....you can level two heroes at no cost to level 60 cap without much effort. It will, however, probably become something you want. The pricing is a bit extravagant, but the sale prices (at least right now on Steam and in the shop) are 1/2 off so I took full advantage of the discounts. Like most in-game shops the pricing is set to "too much" with the expectation that they will drive sales with special deals, at least that's what it looks like to me. Are these purchases worth it when the sales aren't active? I think if you feel comfortable sticking to 2-3 characters and a few "card" purchases you can spend $5-10 a month on this game without feeling in the least bit guilty. Me....I've got a feeling I'll be enjoying this title for a good long while, so I plan to level more than a few to cap. Look for docfuturity on Daredevil, Moon Knight, Deapool, Hulk and others if you stop in. Trust me when I say that if you are into Marvel and Diablo-style games, you can't go wrong here. The price of admission is just right, but if you get in and want to actually spend money, I doubt you'll feel bad about it. As one of my new year's resolutions I plan to spend a lot more time playing the other non-D&D games I neglect too much. Part of the reason is because I really want to play them (durh) and the other is because I am finally admitting that I am pretty burned out on D&D in general...and if it weren't for 5th edition I might be moving away from it all together. 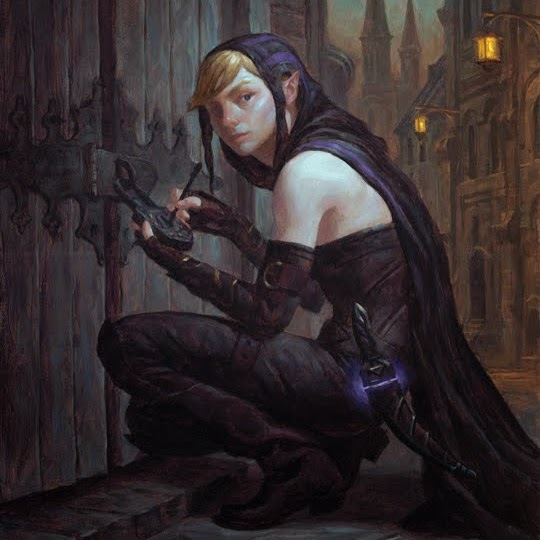 Not even poor 13th Age can fully stave off my sense of ennui toward the D&D-genre right now; I just need a break....or just a change of pace periodically. Yes, it is possible to get sick of chocolate if you eat too much of it for too long! Goal: to run at least 1 BRP and/or CoC game each month between D&D sessions. 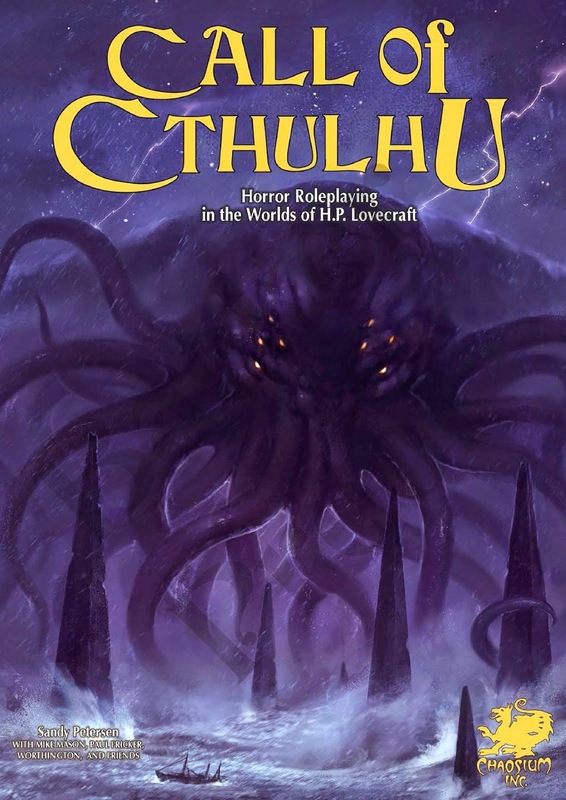 Goal: to run a short 1-3 session mini campaign for both Void Core and Astounding Adventures; I may waffle and use Cthulhu Rising/Jovian Nightmares instead of Void, though....we'll see. 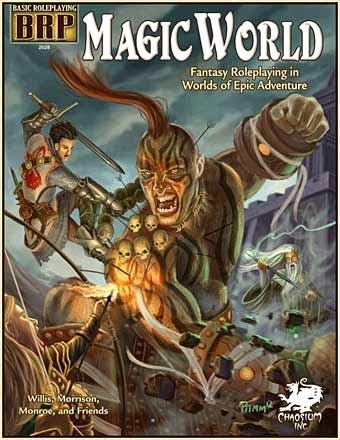 Goal: to revisit my world of Pergerron with Magic World and to run at least one session of Blood Tide to see if the group has enough interest. 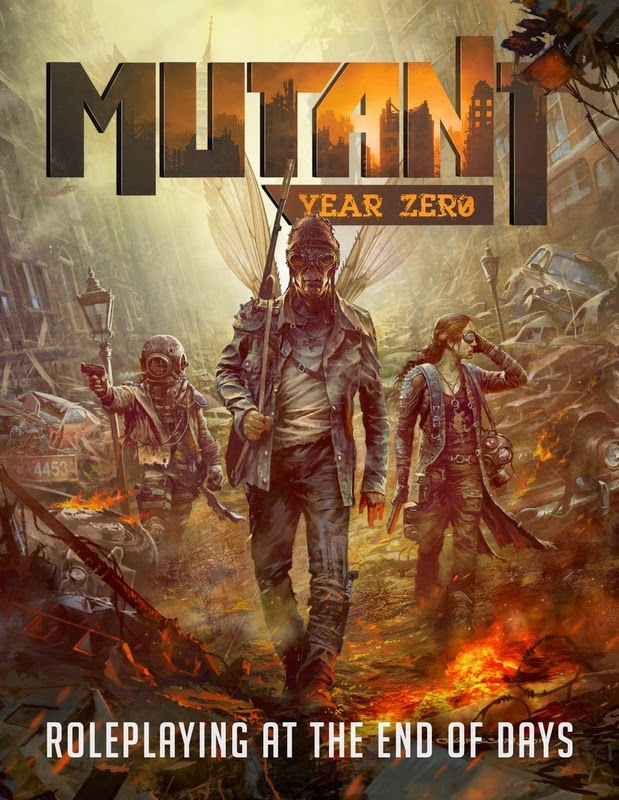 Mutant Year Zero is freaking me out with how cool it is. My local group isn't as gung-ho about post-apocalypse as I am, but if I have my way we'll run at least one full length campaign in this system sometime in 2015. Goal: see if I can actually get this thing read and find inspiration to run it. For 2014 I managed to run Dungeons & Dragons 5E weekly from its date of release, as well as wrap up ongoing Pathfinder campaigns. I got a lot of 13th Age in with three distinct campaigns, and I also managed to get a good Magic World campaign in, as well as a lengthy Savage World Sci-Fi campaign. So all told not too shabby. Will I be able to run as many--or more!--than I did last year? Well.....that's the goal.... and there's at least one or two not on the list I'd like to hit too, but don't want to over-commit to (i.e. Fantasy Hero Sixth Edition, the mythical Deluxe T&T if it comes out in 2015, and The Strange RPG). As always, any of the product of this gaming addiction shall be liberally sprinkled throughout this blog! Having survived Xmas, let us all rejoice in some of the awesome games coming up in 2015! 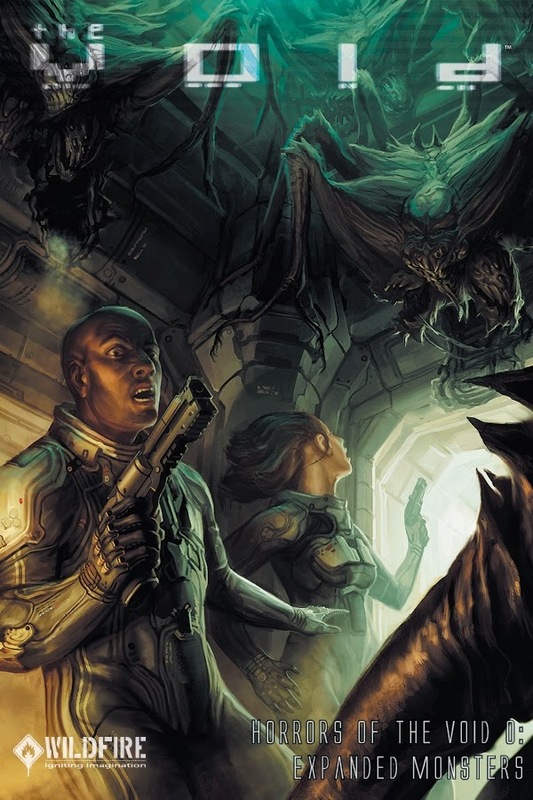 Cypher System currently powers The Strange and Numenara, two games that look fascinating if you're in to fiddling with other people's specific settings and preconceptions. I am intrigued at the idea of a stripped-down version of the rules that lets me do what I want with it. Coming in a "Player's Guide" and "Keeper's Guide" (I think the Keeper's Guide has the whole game), this is the first siginifcant revision to the CoC game system in its history, with the mechanics ditching the 3-18 stat block for core stats in favor of an entirely percentile system. This is likely to annoy the old fans while being a smoothing of the process for new one....if you, like me, have ever had to explain the concept of attributes in CoC and BRP and how they relate to the statistics rolls then the idea of merging the two won't seem so far fetched. Either way, I look forward to seeing what it all looks like, while crossing my fingers that there aren't too many intrusive new mechanics or systems designed to "fix" the pass/fail skill check "problem" like Trail of Cthulhu in favor of a less exciting point pool mechanic. 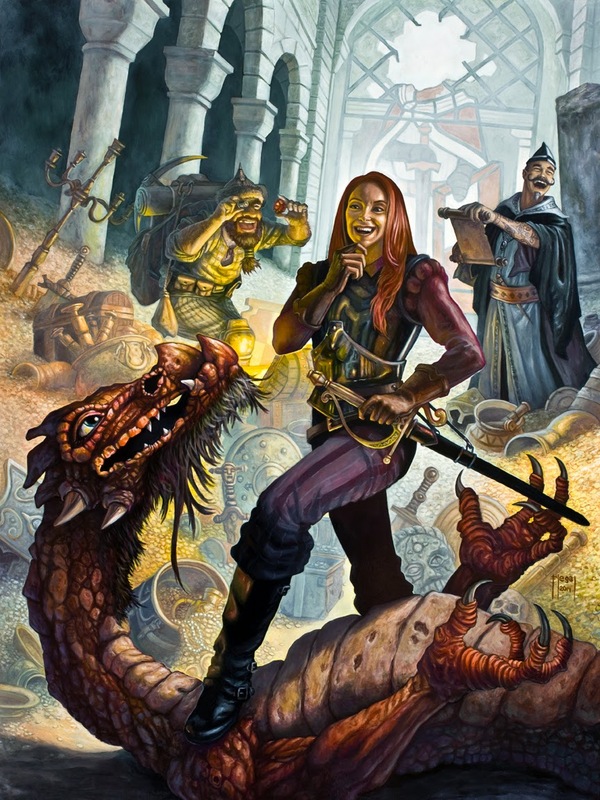 CoC 7th edition has the PDF out....I haven't snagged it yet, sort of holding out for the print edition first, but that doesn't mean you can't take the plunge. I've raved about this already, but needless to say its a redux of the Hero System 6th Edition rules with a hard focus on fantasy gaming. Hero System may yet be something I can get played at my game tables with a focused book like this! Here's to crossing my fingers for a Star Hero Complete next. 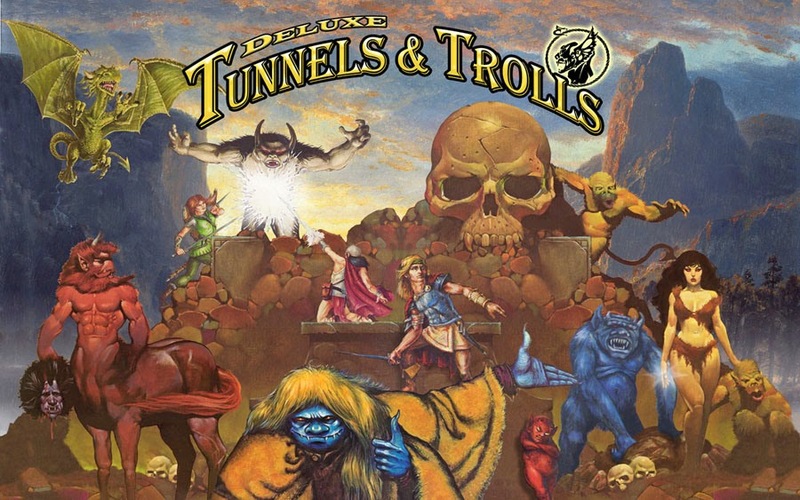 Ken St. Andre, Liz Danforth, Bear Peters, Rick Loomis and Steve Crompton are all among the fabled caretakers of Tunels & Trolls, and they've been working for better than a year now on producing a definitive edition of the game. It's taken a lot longer than anticipated, at least partially because the scope of the book moved from a "best of reprint" to a "totally revised edition with so many bells and whistles you'll go deaf" but the drafts released so far look amazing. I really, really hope this game comes out soon. 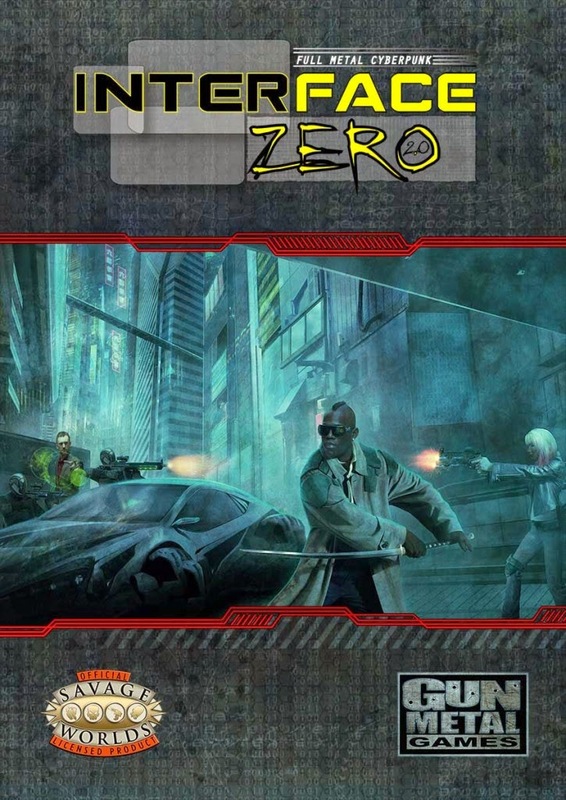 Fantasy Flight Games just keeps on giving, this time with the first of four planned End of the World RPGs, #1 being on the Zombie Apocalypse. Future books will focus on the Wrath of the Gods, Alien Invasions and the robot apocalypse. 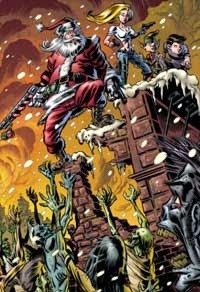 This may fill a void left by Eden Studios more or less falling off the radar in recent years. 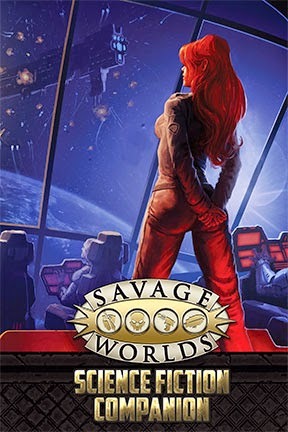 Modiphius has reprinted this updated and revised version of a classic Swedish title I had only heard about until now. 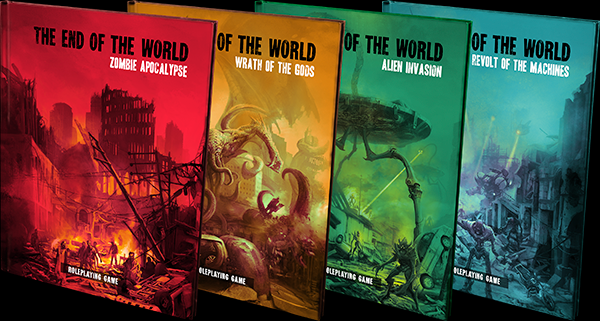 The book looks to me to be the definitive word on post-apocalypse gaming, with a excellent middle ground established between Gamma World, Aftermath and Fallout. I will likely be writing a lot more about this one soon! 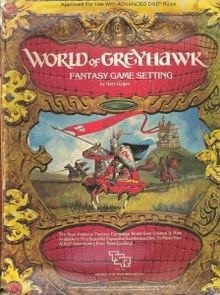 While you are battening down the hatches, applying fire retardant gel to the hous exterior and reinforcing the bullet-proof plating on the roof in anticipation of Xmas, I just wanted to point out that dndclassics.com has stealthily released Gary Gygax's original World of Greyhawk setting in PDF. Seriously though, it's a cool PDF collection of the two books plus maps. You'll find a brief but inspirational overview of the world that virtually all 1st edition modules appeared in until the Forgotten Realms smashed its way onto the scene a few years later. 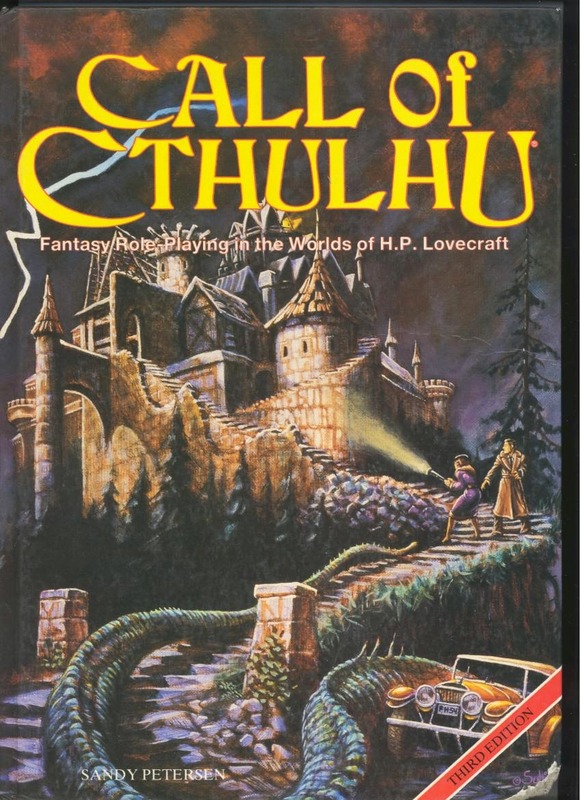 You get the run-down of the world's gods, notable locales, politics, dungeons, stats to kill the gods, encounter tables, great hex maps, a key to where all the modules take place and in what hexes specifically, and it all smacks of that weird, quasi-amateur style that permeated TSR until around 1982-83 when it started to get too big for its britches. It's sometime in the not-too-distant future and four astronauts on the Moon Base Ark are about to have a very bad day after a rogue meteor shower pellets their base, seeding it with alien spores. The spores rapidly manage to infect some of the crew, leading to possible hallucinations and madness. Are the crew just imagining things, or are they really experiencing a seriously low budget film with aspirations to produce an alien that somehow manages to blend multiple other horror films' aliens together into a sort of spore puree? The film is largely forgettable, at least partially because it takes itself rather seriously but misses some very important steps along the way to "getting to the good parts" which aren't really all that great so I don't know what their hurry was. Among other things it failed to take time to establish any personality for the four main characters beyond "scared, yelling, and in constant state of emergency," so we never learn much of anything about them that helps to sympathize with their plight or at least feel for them. In their defense the actors really did have "freaking out in middle of space emergency" down perfectly, though. 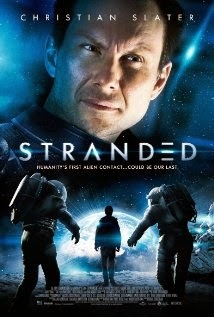 Unlike virtually every other movie these days Stranded actually uses old fashioned FX and never once soils itself with lame CGI. This has the distinct advantage of making the movie a bit cheesy in an old fashioned way, but it also makes the movie feel a bit more genuine and distinguished from its similar low-budget competition. The gore FX in the movie are not bad, even if we only really get to see something truly alien in the last five seconds of the film. This reliance on classic FX almost makes up for the painfully basic recycled set pieces and props. The film's sets are so generic and recycled that you will spend a lot of time trying to figure out which other film they filched the set pieces from. Some items (I'm looking at you, booklight-turned-space-radio) are so blatant that it takes you out of the movie every time you see the piece in action. Most startling of all the special effects is the moon base exterior, a lovingly detailed scale model crafted with all the precision and accuracy of a model train set piece. All of the exterior shots, from meteor showers to landing (and taking off) ships are done using this set piece which clearly was someone's special project of love. 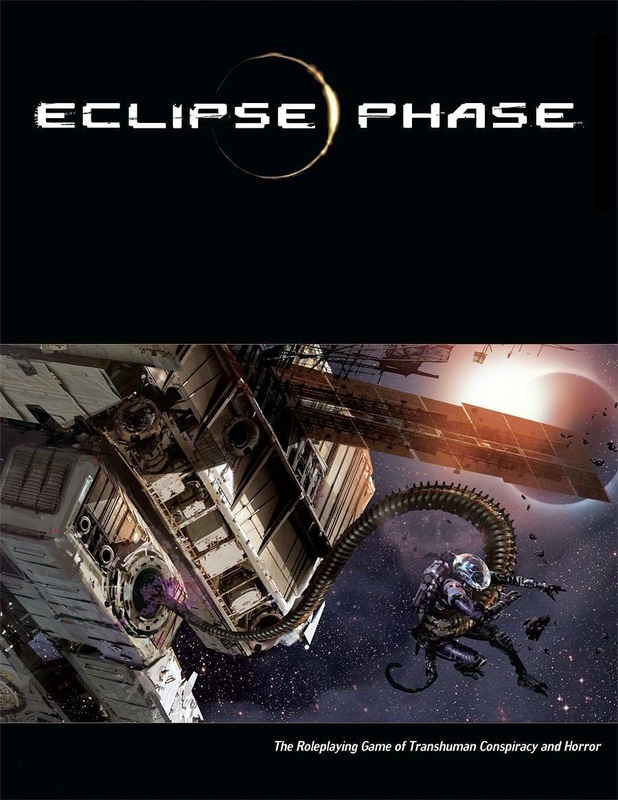 I would not at all be surprised if the moon base set wasn't finished first, and the story pitched to make use of it. When all is said and done this movie had about 20 minutes in the middle where it actually got really interesting, and I started to take notice....but then it degenerated back into more derivative silliness again. Unfortunately Stranded was trying too hard to be too many other films, and the really interesting bits don't get enough attention in the film's effort to borrow from other better ventures before it. If the movie had spent more time on the core conceit (spore-alien seeks to mimic host organisms while hosts think they are hallucinating) and also spent more time setting up these characters as people we could relate to (or at least feel for), then it would have done better. What has Christian Slater been up to, lately? Making this movie, for one! Did you know those little pop-out book lights they used to sell all over the place a decade ago can double as space communicators if you paint them black? One of the great mysteries of a film like Alien is just what the alien is (bioweapon or perfect hunter?) but it turns out that alien spores are quite capable of hijacking a host and getting her to give birth to an alien doppelganger in a matter of hours because reasons. Also, motorcycle helmets with vacuum tubing make good spacesuit helmets. And firefighter breathers make good moon breathers, too. Worst case of "explosive decompression into a vacuum doesn't actually do that to the human body" ever. Like: pureed exploding body bad. Another fine example of "gravity and weightlessness in films are portrayed accurately in inverse proportion to the film's budget." All in all a fun little romp if you catch it for free on Netflix like I did, but utterly forgettable otherwise. I give this one a C+ but might have been tempted to give it a B- if I didn't wince every time I saw Christian Slater speaking into my old booklight. First, just wanted to mention that I started typing this on my new Galaxy Tab S4 10.1 inch tablet, which so far is proving to be a worthwhile investment. The Logitech Bluetooth keyboard/cover combo is rather nice, albeit a bit small....but beyond that it's pretty serviceable, if not as cool as the Surface's flexible keyboard. Unfortunately every five seconds or so Blogger would try to update and when it did the cursor would decouple from the typing area, so now I'm back on the old desktop. But enough of that! 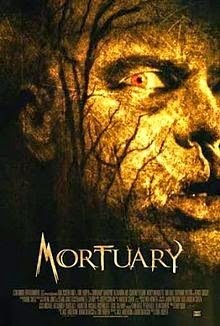 Mortuary is a 2005 horror film with the name Tobe Hooper prominently displayed as director. The opening premise is simple but rife with weird promise. The film opens on a family of three, a mom, her odd daughter and snarky teenage son (played by Dan Byrd who steals much of the show) as they set off to start a new life in the wake of their father's death. As it turns out, for reasons never quite established the mom is keen to start a career as a mortician (or maybe resume one?) and she has invested in an abandoned cemetary/mortuary combo in some small back-assward California town. The place is a shambles, a relic of a complex ripe for horror films. The guy selling it to her is a bit crazy, one gets the impression....or just happy to have a sucker to take over the operation. A normal person would have called her in on child abuse for subjecting her kids to the place. But hey! This is what good B movie horror films are made of. Everyone gets along, the teenage son starts off making local acquaintances, including the gratuitous punk bully and his two uncharacteristically slutty small town girlfriends, while mom sets about cleaning the place up just in time for the bodies to start rolling in. The pace of the movie is rapid and we quickly establish a range of quirky local denizens at the local diner where the teen son takes a job, even as some odd sightings are made at the graveyard. In surprisingly quick order the movie escalates from "could a creepy deformed madman be lurking in the caverns below the cemetery?" to full-on Reanimator-style zombie invasion, and the similarities are just significant enough to suggest that the people behind this movie really liked those earlier films. It maintains a camp quality to the entire experience, much as most 80's style horror films did, playing it all straight while still throwing just about every gory bit they can at the screen. The bulk of the FX is makeup, but the blood monster is CGI (a sort of unholy love child of a shoggoth, the sarlac and the Black Oil virus from X-Files). 6. Gratuitous disrespect for the dead....even BEFORE they get up and start chasing the living! 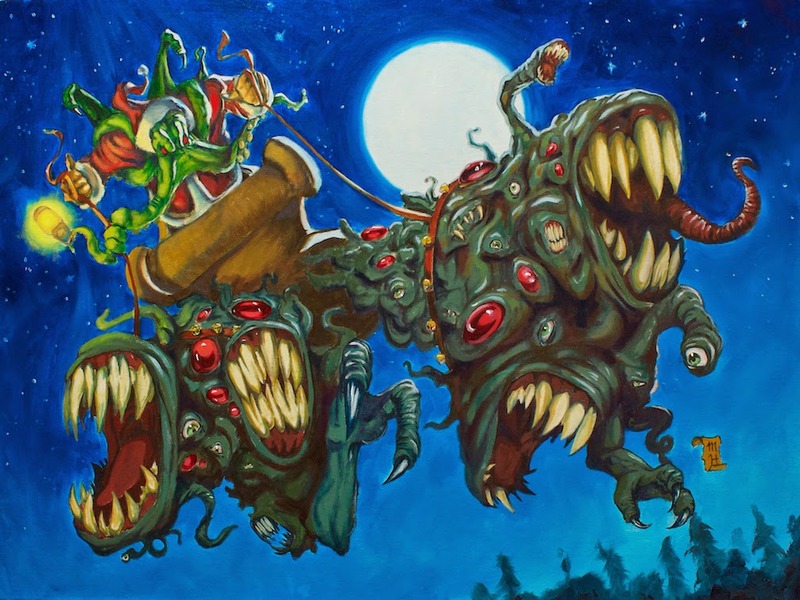 When we get to the end of the ride (and it's definitely a ride) the only question is just how the monsters will manage to eat everyone at the end....and we know they will. 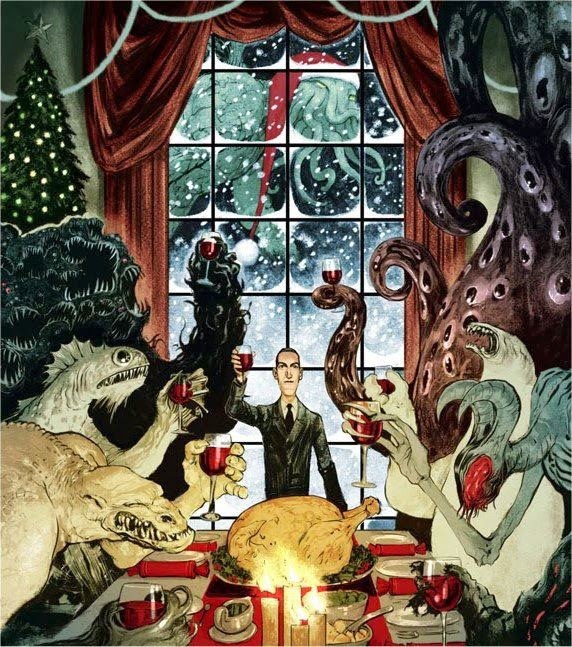 But it's a very fun ride along the way, with a shade of Movie Lovecraft* permeating the experience. If Jeffrey Combs had shown up at the end with a giant juicer I would have been not at all surprised. A solid B+++!!! Fantasy Hero Complete is off to the printer! We've sent download instructions for the PDF to all backers at $10 level and above, and instructions for the PDF and Hero Designer Character Pack to backers at the $20 level, and $40 and above. 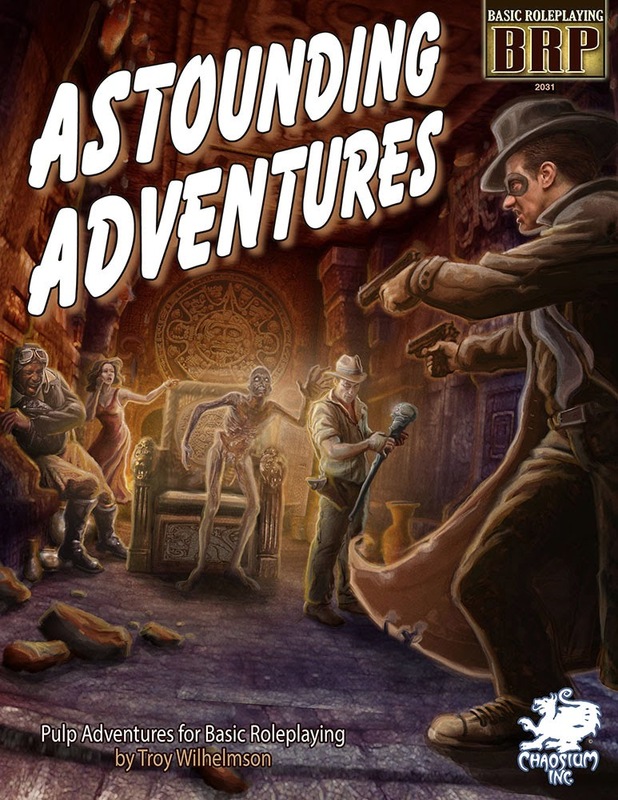 We'll send you further instructions when the bonus adventures are ready but we've included a preview of those in case you want to read them right away and not wait for layout and maps. If you have any problems downloading them please send us a kickstarter message and we'll get back to you as soon as we can. We appreciate your patience during the holidays. 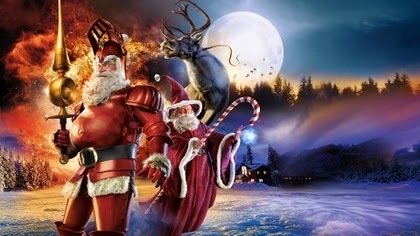 We wish you the happiest of holiday seasons, and a New Year full of Fantasy Hero adventuring. As always, thank you for your support! We couldn't have done it without you, and we're deeply grateful you helped us make this book. Our good doctor decides to intervene, injecting some of his experimental serum into the boy, but he dies. The boy's name, in a moment of attempted apocryphal implication, is Jesus...oh and his sister is Maria. Before he dies he suffers a severe siezure and in the process bites Dr. Stanton. Ultimately Stanton determines that he is getting sick from the bite, and suspects he is both the cause of the boy's death and possibly his own malady. 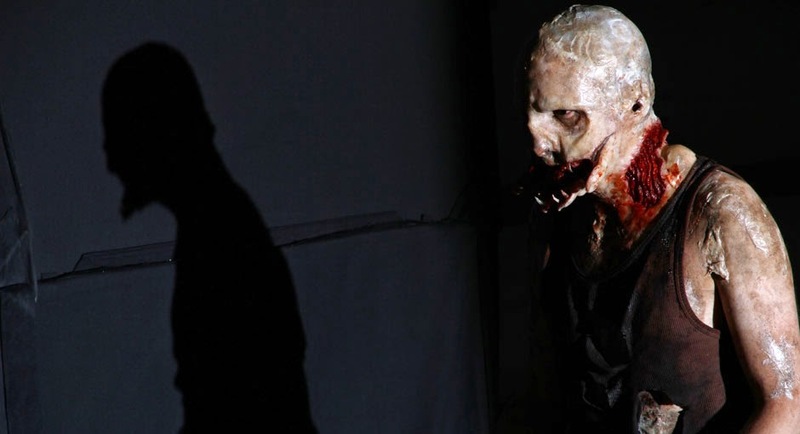 He gradually figures out that his serum mutated when exposed to whatever was within the blood of the boy, and its second stage is rapidly changing him. A confidante and assistant realize that the third stage, if it gets out, will be quick and overwhelming to the host. As one can imagine, the movie inevitably and with great and prolonged foreshadowing strides its way to the inevitable conclusion, as Dr. Stanton and all he has come into contact with succumb to the disease or are bitten by those who have. The zombie apocalypse begins. The film is actually very slow to start, and has a great 80's sort of feel to it at times, a measured and careful pace in which we establish the character and his many relations so that when things start to happen there is some empathy and interest in the inevitable destruction of Dr. Stanton and his world. I'd like to attribute this careful build-up to smart directing and plotting, but honestly it's probably also because the film was clearly made on a small budget. The special effects are minimal but used to great efficiency, and there's not a single piece of CGI in sight, a welcome relief. Want to see a low budget, no-name star zombie flick that starts off slow and builds to a crescendo, a film which shows you exactly what happened right up to the moment before Dawn of the Dead or any number of other zombie movies start? 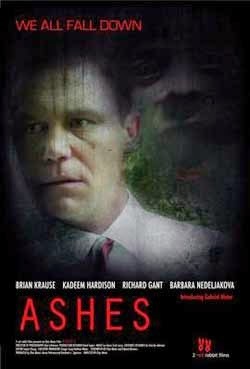 Then check out Ashes....a good, solid B+ movie. A few days back I posted some thoughts on Onebookshelf's decision to kick the "Gamergate Card Game" from their online stores. Not long after this incident an interestingly similar situation arose with Steam and a game called Hatred. No links to the game, Google it yourself (I found it a disturbing mess). "Yesterday I heard that we were taking Hatred down from Greenlight. Since I wasn't up to speed, I asked around internally to find out why we had done that. It turns out that it wasn't a good decision, and we'll be putting Hatred back up. My apologies to you and your team. Steam is about creating tools for content creators and customers." This is interesting to me because it implies that Steam is very much aware of the fact that they are a platform of delivery of content....a mediator...between the publishers and the consumers. They are not the ones who get to decide what publishers can sell, and have even set up tools (such as Steam Greenlight) which let publishers pitch ideas and the consumers vote on what they want to buy. If a game like Hatred has no market or interest, it will presumably wither and die at that point, without Steam ever having to apply any ethical oversight at all....leave it to the consumer. And of course, if it does get Greenlighted then it is clearly sufficient for those who wanted to back the game that they now can --and it means that those in the crowd like myself who wouldn't touch this game with a ten foot pole are now free to ignore it and vote with our wallets by buying other, better games elsewhere. I haven't particularly been fond of the end-product of the Greenlight process because it has led to a torrent of "early access" titles on Steam that are, indeed, largely unfinished and rarely worth paying for if you're not in the business of being an unpaid QA tester with almost zero presence to the development team. But that said, I think I do like the Greenlight process as it works here. Unfortunately the business model for Onebookshelf wouldn't likely support such a structure....which might end up feeling like a weird cross between a retail outlet and Kickstarter if they tried, most likely....but the principle holds well. Wouldn't a title like the Gamergate Card Game have been better left for sale, to be soundly beaten about in bad reviews and comments on its page rather than removed from sale? My wife and I caught The Hobbit: The Battle of the Five Armies at a matinee on Wednesday and had a blast. I just wanted to comment briefly that of the three movies that Jackson managed to somehow squeeze out of The Hobbit plus the Silmarillion and the Lost Tales this one struck me as the most well-paced (even if...SPOILER ALERT, I GUESS.....Smaug bites it big time in like the first five minutes). It helped that the movie was a bit shorter than the prior two. #2 Especially suffered I felt for having so much obvious filler, stuff which not only was never in the books but which made very little sense from any sort of coherent analysis (giant gold dwarf statue event I'm looking at you). In the end, despite the deviation from the book, the film holds up well. When you think about it, if you are one of those deeply analytical fans concerned about the canon of the films vs. the books, one could readily imagine that the movie somehow portrays "what actually happened" (hisssss!!!!!) while The Hobbit as a novel actually portrays what Bilbo remembered, or was able to reconstructs (for example...another spoiler.....the difference between how Thorin Oakenshield, Killi and Filli die in the movie vs. how they died in the book). Given that Bilbo for either occasion was mostly unconscious during the battle, one could readily imagine his retelling might be from a second hand reconstruction or a fanciful retelling. I now look forward to the 27 part movie series Peter Jackson produces when the Tolkien family finally relents and lets him put the rest of J.R.R. 's works to film! Here's the next racial option in the Realms of Chirak Campaign guide up for revision and playtesting/feedback: the cannesh, a race of spiritfolk shapeshifters. The cannesh tribes are shapeshifting fey folk of the northernmost Legoran forest lands, not far from the Northern Wastes. They are mysterious, but very down to earth folk, and are not often found as adventurers outside of the Legoran lands. 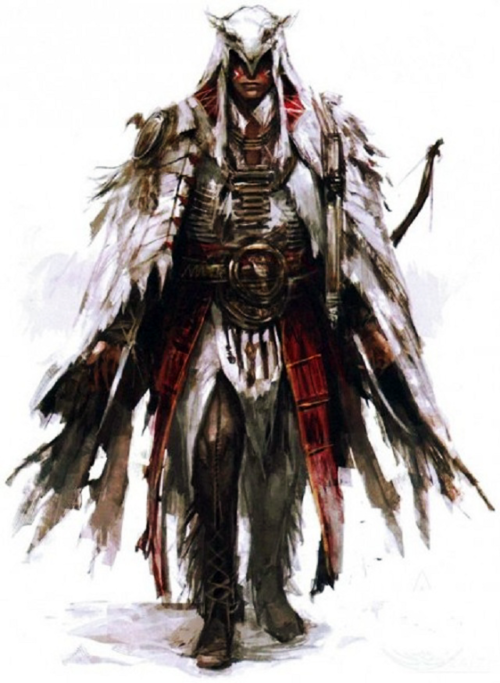 Their nature as blessed beings of the spirits makes the Legoran people reverent and fearful of the Cannesh tribes. The cannesh are a remnant of the ancient past, descended at one time from Legoran stock. The Cannesh are the descendants of Legoran men and women who intermarried at one time with a now legendary fey folk of the north, a mysterious society of animist spirit folk who are described in the ancient myths as a race of spirits, freed from the crags of the earth at the time of the apocalypse to, "dance upon the edge of the world in a swirling pattern of light and dark." 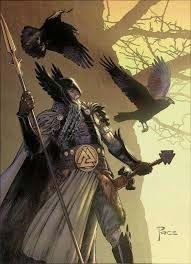 No mortal being who interacted with these fantastical spirits could resist them, and it is said that the most ancient and favored Legoran people were nurtured and cared for by these beings through a time of great darkness before being released back in to the world, forever changed and unique. Preservationists claim these ancient Fay Spirits were among the many spirit servants of the gods cast down from the heavens in the apocalypse, but the legorans claim that they were ancient forest spirits who always existed apart from the realms of men and gods, and that they appeared then to help the legorans survive through the harsh centuries after the destruction of the world. Because of this, the legorans treat the touched descendants of these people, the cannesh, with a mixture of fear and respect. The cannesh themselves claim to still know of the existence of the fey spirits, but are not fearful or curious of the mysterious northern beings which spawned their kind. Instead, they love to recount tales of their first legendary clansman, Yagirin Hedor, who led the young race southward to seek out the heart of the world. It is said that this migration was because of an exile, that Yagirin and his peers sought to capture the essence of the heart of the forest, and that in doing so, it forever altered them. Others claim that this was a gift freely given, and when it was accepted, the cannesh were considered ready to return to the mortal realms. Cannesh are humanoid in appearance, although the nature of the possessing beast within each cannesh's heart has an overall affect that shows in his humanoid side. A bearfolk cannesh in human form looks large and burly, while a Vollfluen wolf folk will have sharpened canines and a healthy body of hair. Hidihirin and rastakats are short, and mistaken as Halflings, although the sharp, pointed and bird-like features of the rastakats shows through, just as the lean and athletic features of the hidihirin give them away for their rabbit nature. Cannesh, as shapeshifters, can transform in to their spiritual animal form, and may do so at will. Their animal form will have all of the characteristics of the animal in question, but the hit points, skills, and level-based modifiers of their humanoid form. There are several other lesser tribes (badger folk, skunk folk, serpent folk, fish folk, etc.) In addition, rare cannesh are born as the feyweres (Cannesh Lords), who can shapeshift in to any animal form they wish. Language of Animals: Cannesh can speak with animals of their own kind using their racial tongue, as well as speak to others of their species. Tribe: Choose from one of the following tribes of cannesh. Each type gains a shapeshifting form, and the abilities of that form can only be access when shape-shifted. The tribe of choice also grants a language specific to the animal type they can shape change in to. This language allows for communication between cannesh of the same tribe, as well as animals of the same type. Uncivilized: Cannesh do not understand or embrace civilization. Cannesh who spends too much time in civilization and away from the wilderness will gain a -2 penalty to all charisma and charisma based skill checks as a result of his increasing sickness at being away from the wilderness. When in civilized lands (a city, for example) the cannesh gains the charisma penalty. He will lose this penalty when he leaves the city and returns to nature. Conversely, cannesh are more cunning in the wilderness, and gain a +2 initiative bonus when in the wilds. This bonus does not apply in civilized or man-made regions, such as towns, dungeons and cities. 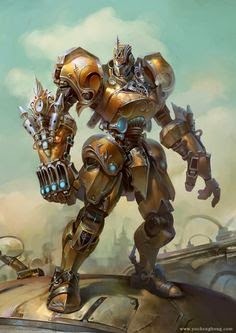 When shapeshifted cannesh normally lose the benefit of any armor worn in humanoid form. Equipment remains at the location they change shape, although cannesh often wear harness-like clothing that will remain worn when they shape shift. Such garb normally costs the same as normal clothing if purchased in a cannesh community, and must be crafted by cannesh tailors. If the armor is purchased outside of a cannesh town, or is made by a non-cannesh, treat it as a variant masterwork suit of armor for purposes of cost only. 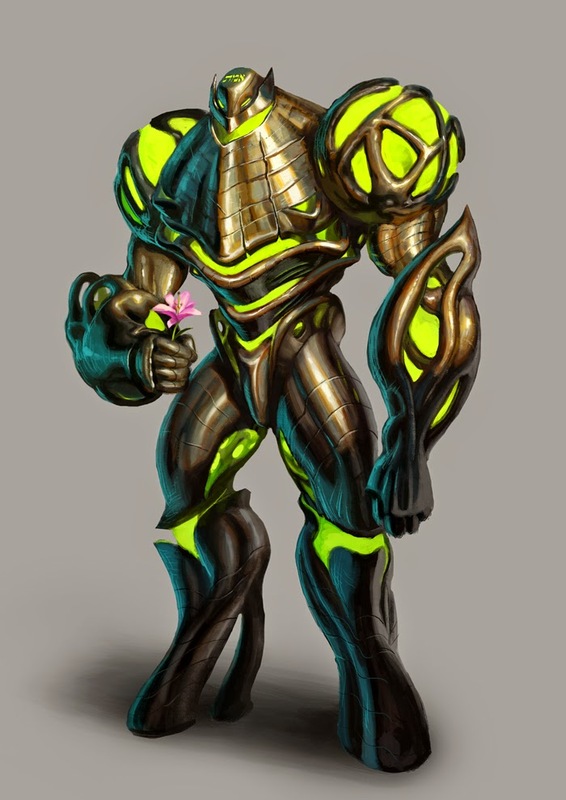 A cannesh with the appropriate tool proficiency may attempt to adjust his armor so that it will conform to his animal form; it requires 1D6 hours and a DC 15 skill check for light armor or hides, DC 20 for most other armor, and DC 25 for half plate; full plate cannot be customized this way. If the check fails, then that particular suit of armor cannot be adjusted to fit his beast form. Cannesh retain their base abilities, proficencies, hit points and most passive traits in their animal forms. They only retain armor benefits if wearing custom armor (above), and may gain natural armor. Shapeshifting takes an action, but they can also move while shapeshifting. Seeing a bacgruit run at you while transmogrifying in to a bear can be a morale-checking experience! They can shapeshift as often as they like, and without restriction. Unless otherwise noted, any skill or ability that requires fine digitation is not possible in animal form. However, all cannesh spell casters learn how to invoke their spells with verbal and somatic elements in both humanoid and animal form, and so are not impaired by their shifting. In animal form cannesh can speak any language fluently; they do not suffer from the language limits of normal animals. As magical fey beings, this is a simple matter for them. Scent: the bacrguit gains advantage on Wisdom (perception) checks for smell while in bear form. 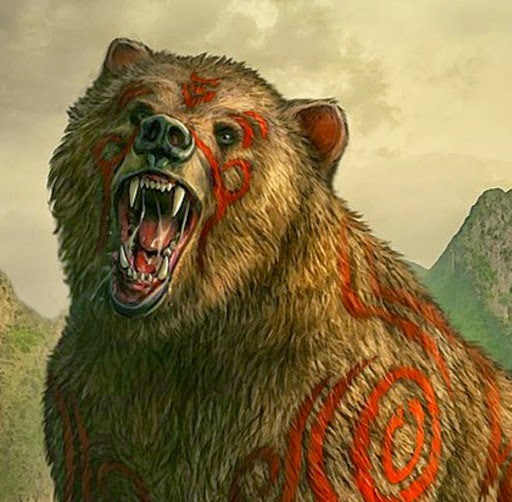 Natural Armor: the natural form of the cave bear has AC 12 (plus dexterity modifiers, if any). Multiattack: the bear form grants two attacks each round, one with claws and one with bite. Claws: the bacgruit can strike with its claws for 2D6 plus strength modifier damage. Bite: the brown bear can bite for 1D8 plus strength modifier damage. Rabbit Form: Hidihirn change in to the form of an unusually large winter hare (they remain small in size, but rabbits are usually tiny creatures). While in rabbit form, the hidihirn gains a movement speed of 40 feet, and is extraordinarily quick and nimble. The hidihirin gains a natural attack in the form of a kick. Kick Attack: hidihirin can kick for 1D6 plus Strength damage. Racial Skills: hidihirin have advantage on Wisdom (perception) and Dexterity (stealth) checks when in rabbit form. Giant Raven Form: The rastakats can transform in to the shape of a giant raven with a six foot wing-span. While in this form they may fly at 40 feet per round and gain a natural dive attack. Swooping Attack: rastakats in raven form can dive attack with their beak, dealing 1D4 plus Dexterity modifier damage. As a reaction when doing this the rastakat can attempt a dexterity (sleight of hand) check to filch a random item. Racial Skills: Rastakats gain advantage on Dexterity (sleight of hand) and Wisdom (perception) checks related to sight when in raven form. Although their beaks are nimble, they cannot perform complex digital tasks in this form, but excel at quick pick-pocketing maneuvers. Vision: Low light vision is common among volfluen, and they can use it both in human and wolf form. Wolf Form: Vollfluen transform in to wolves as their animal form. 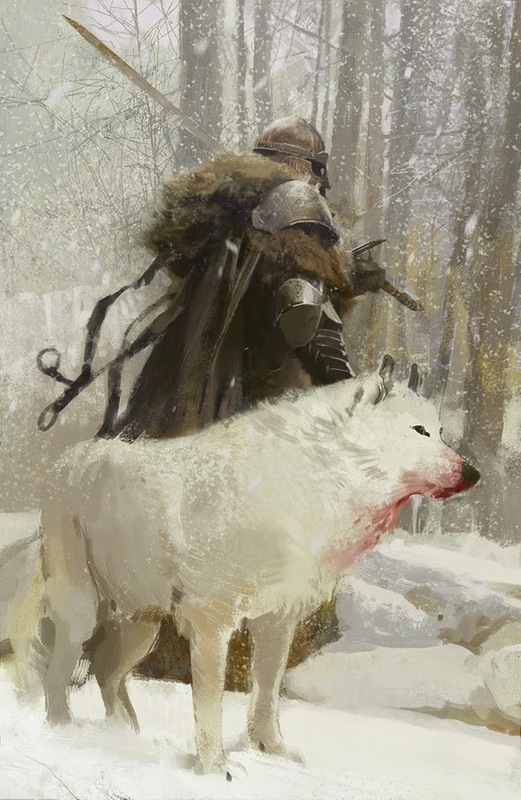 There are rumors of dire wolf tribes and winter wolf tribes, but they are regarded as folklore by most vollfluen. Bite Attack: like regular wolves vollfluen can bite in wolf form, with a reach of 5 feet, dealing 2D4 plus dexterity modifier damage. A target bitten in this way needs to make a Dexterity check (DC equal to 10 plus the vollfuen’s strength modifier) or fall prone. Pack Tactics: when adjacent to a friendly ally who is also in wolf form, the vollfluen gains advantage against the target. Keen Senses: in wolf form the vollfluen gains advantage on Wisdom (perception) checks for hearing and smell. The cannesh discovers his heritage as a true shapeshifter. He loses his tribal affiliation, but gains the ability to transform in to any listed cannesh animal forms (bear, rabbit, wolf, raven, and others at the DM’s discretion). Use the Animal Form abilities as listed for each tribe: the feywere gains all of them. Note that his base abilitiy and racial modifiers (determined by his initial tribe) do not change; he merely gains the Animal Form trait of each tribe instead. The feywere also gains a +1 increase to one attribute of choice. A cannesh with especially keen intuition gains an enhanced ability to divine the magical nature of things around him. He can "see" fey forms and spirits, circles of power and ley lines. He can extend this to conventional magic. The cannesh gains permanent advantage when using the Arcana and Insight skills, and can identify any fey creature or spirit correctly by making an arcana skill check, against a DC equal to the 10+the level of the target inspected. He also gains the ability to cast the Detect Magic cantrip at will. 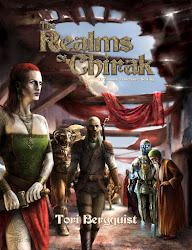 This is part of my ongoing revision to the Realms of Chirak core campaign book which I would like to release in 2015 as a 5E setting if WotC will ever bother to finalize details of either an OGL or some sort of licensing for 3PP. I'd actually love some feedback on this racial option. 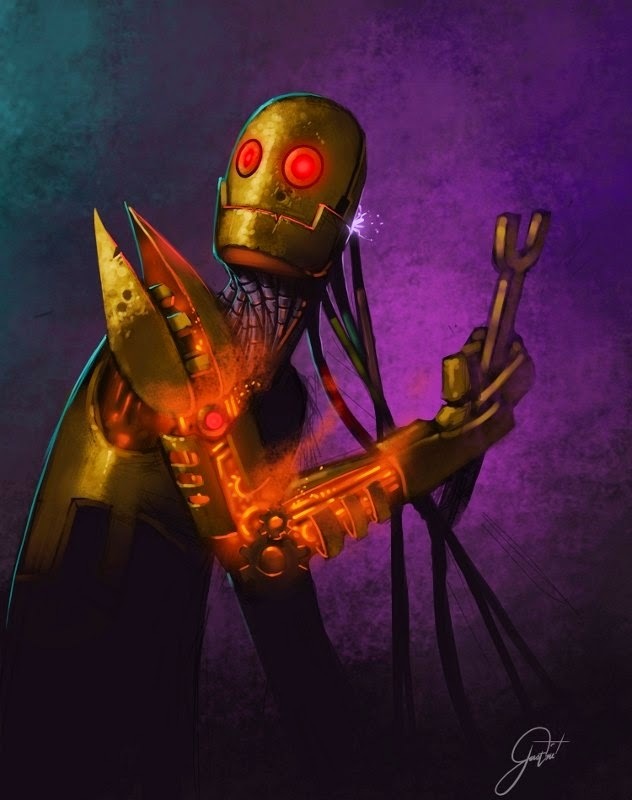 It's built to fit the style and options of the animates as presented in 3rd and 4th edition iterations, and the balance of the animates depends on a racial feat to control the pace of acquiring animate add-ons. Whether it's really suitable for PCs or not is a different question. Animates are the magically animated forms of golems brought to life through an imbuement with elemental energies. With very few exceptions, most animates are relics from the pre-apocalyptic age or derived from the remains of such, and it is believed that they were used as servants by the Old Mythrics, Inadasir, and other lost cultures both during peace and war. 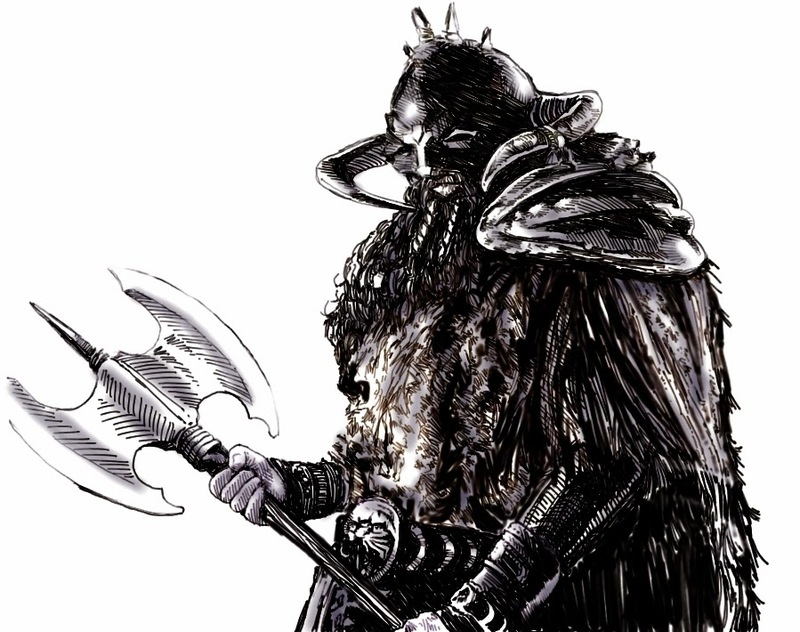 Animates most people hear tell of in legends are the great monstrosities that guard the Black Dome of the north near the White Desert, killing and smashing all that approaches. The lesser known forms are sometimes referred to simply as collectors, humanoid entities of clay, metal and other odd patchwork parts sent out into the world to gather knowledge. They are sometimes self described as researchers and scholars, while at other times they seek out specific objects or items, and will often trade and barter for such items if they are held in high regard. Doppelgangers who have been utterly refused have been known to leave, only to come back later with deadly reinforcements. Animates are unusually difficult characters to play, but can be an interesting challenge for someone who would like to try out a living construct. Animates usually serve some unusual ultimate purpose, which could be a long term campaign goal. On occasion animates achieve a sense of independence, perhaps having been inactivated due to damage, or on rare occasion shutting down due to some inhibition of their elemental power source. These animates may have a sense of free will and curiosity on their own, and an urge to explore. Animates build their humanoid collector models to emulate living creatures, and so the nature of the magical artificing imbues them with life-like qualities, although they are clearly made of artificial materials. An animate collector appears to look like a human or elf made of stylized and decorative pieces of metal, ceramics, cloth and a strange fiber. Keen Observers: Animates are racially proficient in Perception. 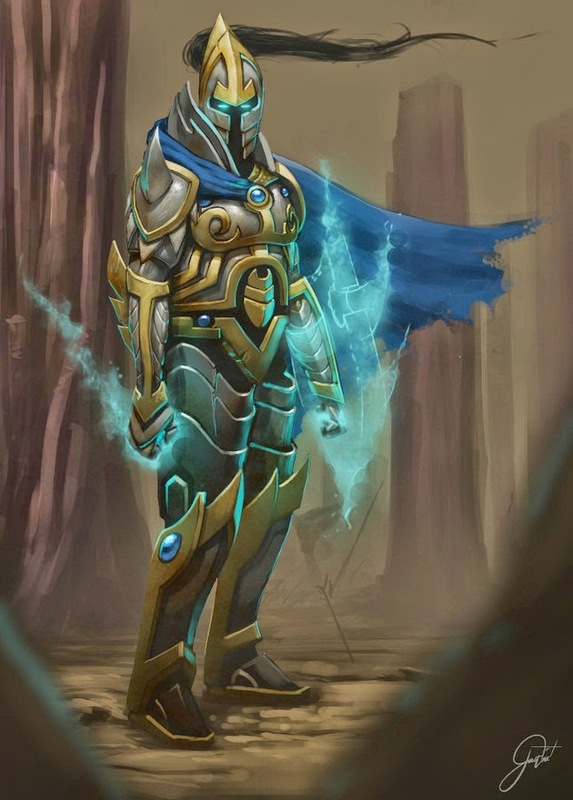 Elemental Attunement: Animates must choose an elemental trait that reflects their animating force: they gain resistance against attacks with that elemental property. Choose from: cold, fire, force, lightning, necrotic, psychic, radiant or thunder. Additionally animates can choose from two additional elemental types: earth, which grants the animate an unarmored AC of 16 plus Dex modifiers instead of any special resistance, or air, which grants the animate the ability to levitate as the spell at will (costs 1 action to activate). Unnatural Physiology: although magical healing replenishes the elemental lifeforce of animates, the medicine skill is utterly useless when dealing with these creatures. 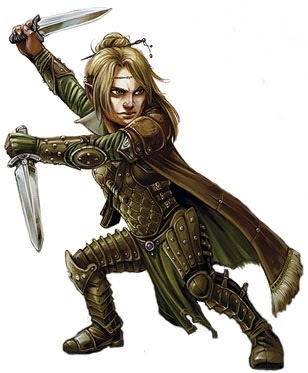 Animates that have been damaged utilize the magic of their animating force to repair injury (allowing them to spend hit dice to heal wounds), an effect which is not unlike the mending spell. Actually using a mending spell on an animate will restore 2D4 hit points of damage, but the animate can only benefit from the mending spell once per short rest (the spell has upper limits for what it can do to heal living constructs). Death and Living Constructs: Animates that reach zero hit points are inactivated; animates that reach the negative of their HP score are completely destroyed, and their elemental anima dispersed. Animates are believed to have no souls and so cannot be resurrected or raised (except by animate clerics, it seems). Animates who are raised by their own kind usually suffer memory loss of up to 1D6 months of events prior to their deaths. The animate clerics of the machine gods explain that their loci is only “backed up” periodically, and do little else to explain to outsiders what that means. Construct Slots: Animates modularize themselves, adding or removing features best suited to the job at hand. Animates at level 1 have two “slots” they can install features in to. At later levels animates can take a feat which lets them add additional slots. Once an animate has filled a slot with one or more of the installed features, they can later free those slots up by installing other features. This requires an extended rest to properly perform (or 8 hours). Installing the new equipment isn’t just a matter of bolting it on, the anima of the construct has to attune to the device as well. This attunement in unique to the animate and does not count against normal attunement to magic items. This feat can be taken by animates only, and expands them to allow for two additional construct slots. The animate may then choose the additional traits to install when the feat is chosen, though the DM may require an expenditure of time or coin to “activate” the chosen traits, typically 100 GP per slot and 8 hours of install time. Animates may take this feat multiple times, but each time the feat is taken the animate’s form grows proportionately larger and more “accessorized.” Animates with 8 or more slots are considered large creatures. The following traits may be used to fill the construct slots. At level 1 animates start with one or two traits (enough to fill both slots; most traits take one slot). Many animate traits emulate spells. The animate uses constitution as the spell ability for determining attacks, damage bonuses and save DCs unless specified otherwise. An animate with this ability can see at night as if it were daylight, although sudden bright lights can be momentarily blinding. Complete darkness is equivalent to dim light. Only darkness spells will remove the animate’s ability to see. Rules: This effect is a bonus action to activate, and remains on until deactivated. If the animate is surprised by sudden bright light equivalent to sunlight within 10 feet of his location, he has disadvantage against ranged attacks and perception checks until the beginning of his next turn. Small holes in the ends of the animate’s fingers release a stream of burning liquid in an arc spray. Rules: The animate gains a ranged attack that functions like burning hands, with two specific exceptions: the animate may choose a different elemental type for the damage that matches its own elemental attunement, and it gains 3 “charges” to use the effect, each equivalent to a level 1 spell slot. These special charges require a long rest to recover. If the animate is elementally of earth type the effect is fire. If the elemental type is air it will be thunder or lightning (animate’s choice). Prerequisite: elemental spray must be installed. The majority of the animate’s arm and additional storage on the back of the construct are used to provide extra fuel and punch to the animate’s elemental spray. Rules: the elemental reservoir enhances the elemental spray, granting the animate an additional 3 slots to use for powering the elemental spray. Burning hands may be empowered with higher level spell slots; with the elemental cannon installed the animate can now “spend” the charges to attain a higher level of effect by adding them to get the desired level (i.e. with 6 charges the animate could use the spell as equivalent to a level 1 slot six times, or burn them all as a level 6 spell slot, or fire twice at level 3 each). As with the regular elemental spray all of the charges are restored after an extended rest. With a thought, the animate’s exterior appearance changes like plastic to emulate another humanoid form. Rules: This ability emulates the wizard spell disguise self and works in the same manner. The animate gains 3 charges equivalent to 1st level spell slots which can be used to power the effect. The charges replenish after a long rest. This animate can tense up, as armored plates lock together in to a solid, impenetrable mass of hardened ceramic, metal and wood. Rules: the animate may activate this effect as a bonus action and gains a natural AC of 18 (equivalent to plate armor, does not stack with other armor or dexterity). The effect lasts for ten minutes. Once used hardened skin cannot be restored until a short rest is taken. Some animates are particularly mechanical in their way of thinking, and perceive reality through calculated, analytical eyes. Prerequisite: Wisdom or Intelligence of 13 or better. Rules: The animate gains advantage against all illusory and mind-affecting attacks as well as attacks. Prerequisite: animate with elemental (fire) spray installed. Benefit: Animates that use the elemental spray may choose this option. The animate can spray a lingering elemental fluid from its fingertips in addition to the normal elemental spray attacl. The spray does an additional 1D6 ongoing damage of the chosen elemental type to all targets hit by the spray each round. The targets must save vs. Constitution (DC equal to 10 plus animate’s CON) to extinguish the elemental “burning” at the end of their turn. The effect will dissipate after one minute if not extinguished via save. The animate has honed its machine logic to a razor’s edge. Rules: The animate gains total immunity to charm effects and resistance against psychic damage. In addition, when rolling advantage on saves against mind-influencing and illusory effects the animate may ignore any 1’s or 2’s and reroll. Prerequisites: Intelligence 15 or better. Rules: Animates can be constructed and magically programmed to record what they see and hear with stunning precision. As time goes by, this ability is nurtured and becomes truly vivid. Animates with this ability gain a sense of amazing recall about events they have witnessed. The animate gains three “recall charges” to use with this trait. Each time the animate expends a charge as a bonus action it may choose one of the following features. The charges, once spent, may be recovered with a long rest. Lost Memories: an animate can try to remember ancient experiences from its own life or the lives of other animates it can access. Make a intelligence (history) check to determine how old the memory is. The result may at the DM’s discretion grant proficiency on one relevant skill or attribute check that relates to the recovered memory. Note that an animate might be fairly young, but its internal memory might contain archived data going back thousands of years. Any animate with an intelligence of less than 15 does not contain an archived data bank and can not be upgraded with one until its intelligence is improved to 15 or better. Once the recall is complete, the animate may photographically reconstruct an image recalled in a physical media (such as potter or painter); the animate gains a bonus (based on the above chart) to the relevant skill (usually perform) for such attempts. It will be almost lifelike, depending on the quality of painting materials. An animate with the Mimicry trait (see below) may precisely duplicate voices from any period of time (like a recording, but not as voice mimicry). Minutiae down to the signature on a clay pot or the runes on a banded ring may be recalled with this ability. Animates with this trait installed are able to study and precisely imitate the motions and voice of those they encounter. Some perfect it to an art. The animate, if successful, will precisely imitate the mannerisms and voice of a target (or both, with two separate checks). The mimicry will be so precise that the animate could be instantly assumed to be its mimicked target. Note that the animate that does this is actually doing a form of pantomime, and is not creating movements that are able to duplicate combat or skill-based actions of the target. Nonetheless, the result is uncanny compared to conventional thespians, a mechanically precise duplication of life. Photographic recall used with this feat may allow for additional applications of this trait. The animate enhances his hardened skin for a total carapace which resists specific damage types. Rules: This animate has added a layer of additional protection on his exterior carapace. In addition to his normal bonuses when activating hardened skin, he adds resistance as well. The resistance will be against either 2 elemental damage types of choice, or against piercing, slashing and crushing damage. The effect lasts for as long as regular hardened skin does. The choice of resistance types may be changed after a long rest.